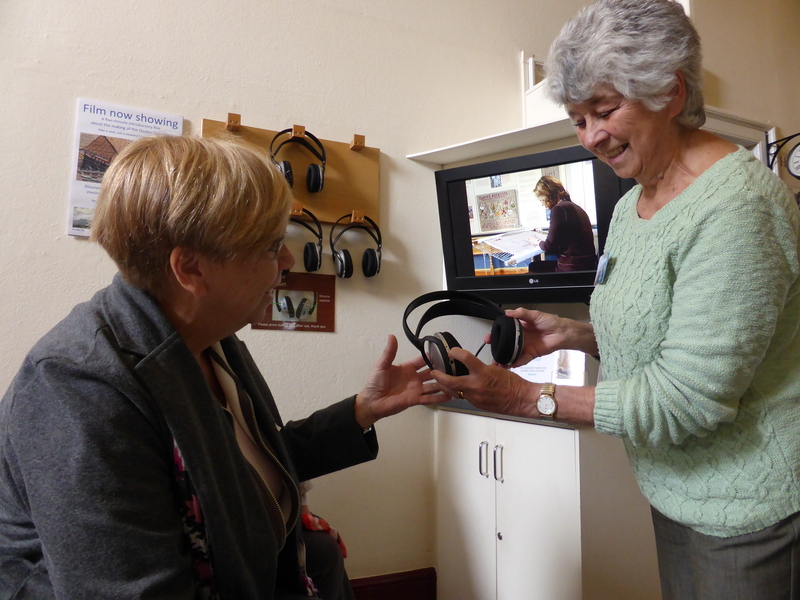 Did you know that our Exhibition Volunteer Stewards are actually visiting volunteers who stay here with us, offering much needed support to our visitors? Sisters Faith and Margaret have been visiting volunteers since we first opened our doors. They love the place and enjoy visiting Kendal too. Faith first encountered the Quaker Tapestry panels on a touring exhibition in 1986. Immediately inspired to take part in the project Faith stitched on a total of 8 panels, often travelling to put a single stitch in. Faith practiced her Quaker Stitch on the lettering on Publishing the Truth panel and worked extensively on Coalbrookdale panel and even had the Meeting Houses panel in her home, holding workshops there! Faith and Margaret are the creators of a wonderful new panel celebrating Sheffield (their home), inspired by Quaker Tapestry. 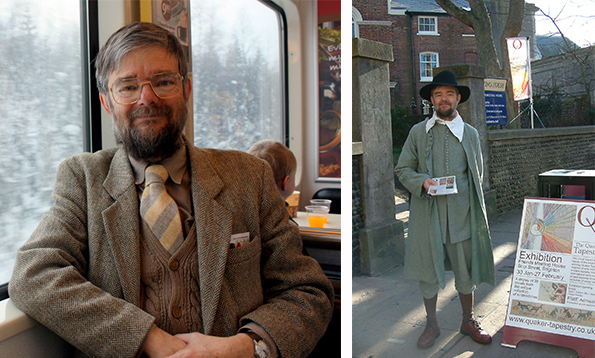 Margaret came up with the idea whilst studying at Woodbrooke, a Quaker based learning venue. Most participants in the project have been from the Sheffield area and it’s design came from a team including children, just like Quaker Tapestry panels. Around 50 people have taken part putting at least one stitch on. 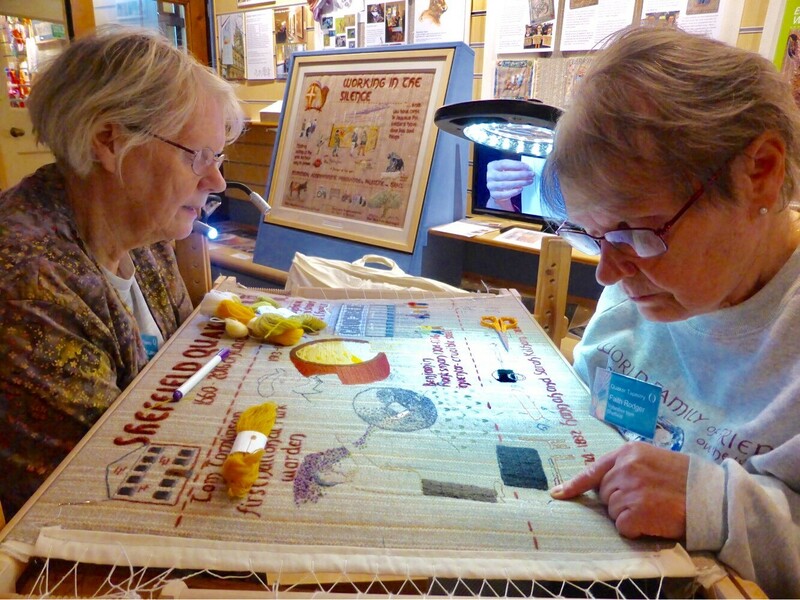 Faith and Margaret are working on the panel in our exhibition area so you can see the panel, and Faith and Margaret, up until Saturday 24th June.